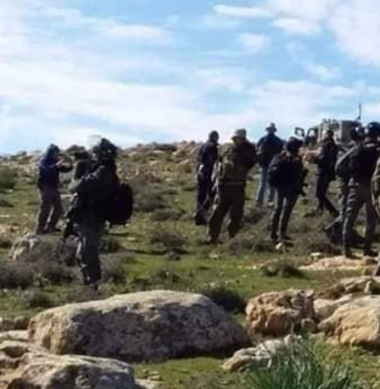 Israeli soldiers abducted, on Thursday evening, a Palestinian man from Yatta town, south of the southern West Bank city of Hebron, after a group of extremist illegal Israeli colonialist settlers assaulted him. Rateb Jabour, the coordinator of the National and Popular Committee against the Annexation Wall and Colonies in southern West Bank, said the soldiers abducted Ziad Mohammad Makhamra, 60, from Bir al-‘Ad area. He added that the man was abducted after a group of illegal settlers assaulted him while hurling insults at the man. The colonists came from the illegal Mitzpe Yair and Bnie Yacoub colonies, which were built on private Palestinian lands in Masafer Yatta area, east of Yatta.